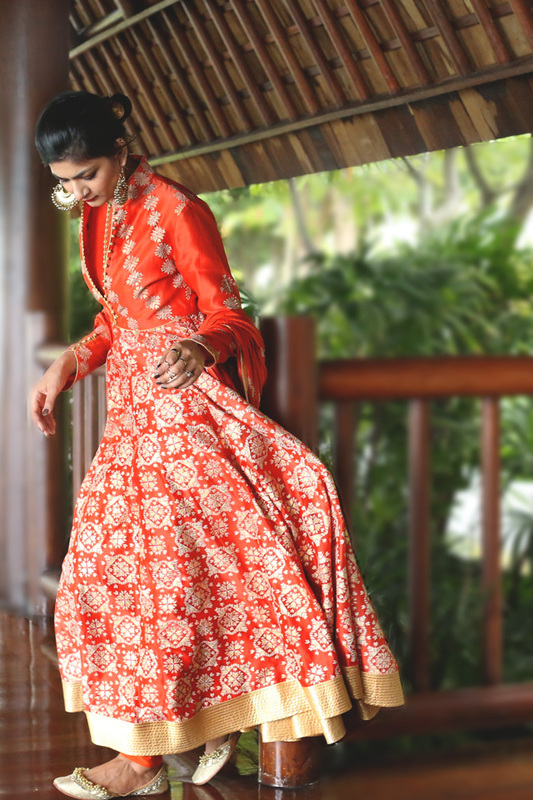 I am sharing this gorgeous Rohit Bal outfit I picked recently. 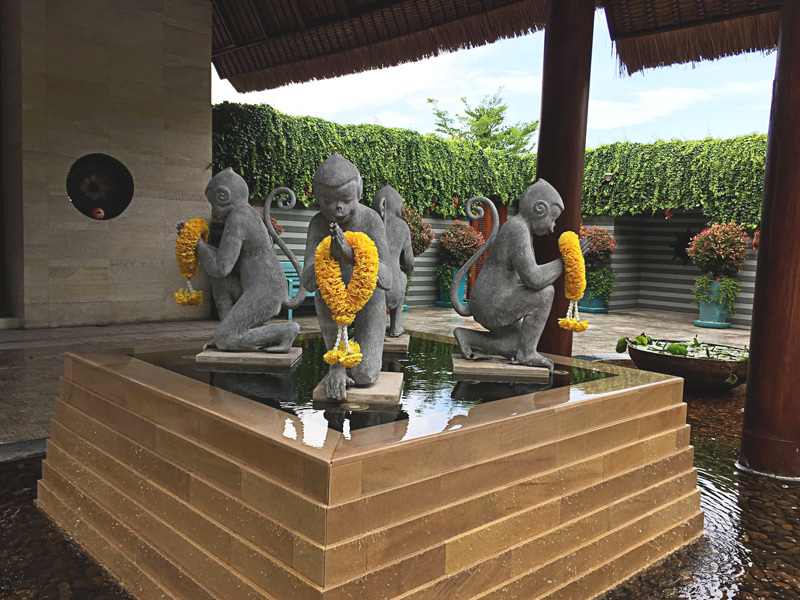 We shot these photos at Four Seasons, Koh Samui. I absolutttely loved the jacket details of the dress and the whole anarkali was so grand. When I wore it the first time, I knew I had to have it in my collection. I wore ghungaroo earrings from Ritika Sachdeva and amazingly managed to find a ghongaroo jooti to go with it . 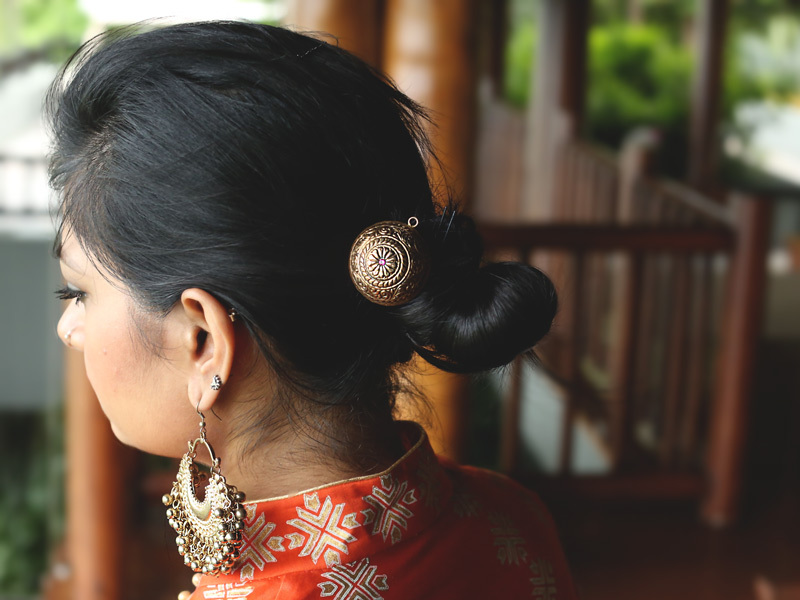 😀 Added a little special touch with this heritage hair pin I picked from Amrapali. Hope you like it. Wish you alll a very Happy Dhanteras. For Koh Samui we had a flight from Delhi – Bangkok- Koh Samui and Return. Delhi to Bangkok is around 4 hours and a further 1 hour flight to Koh Samui. 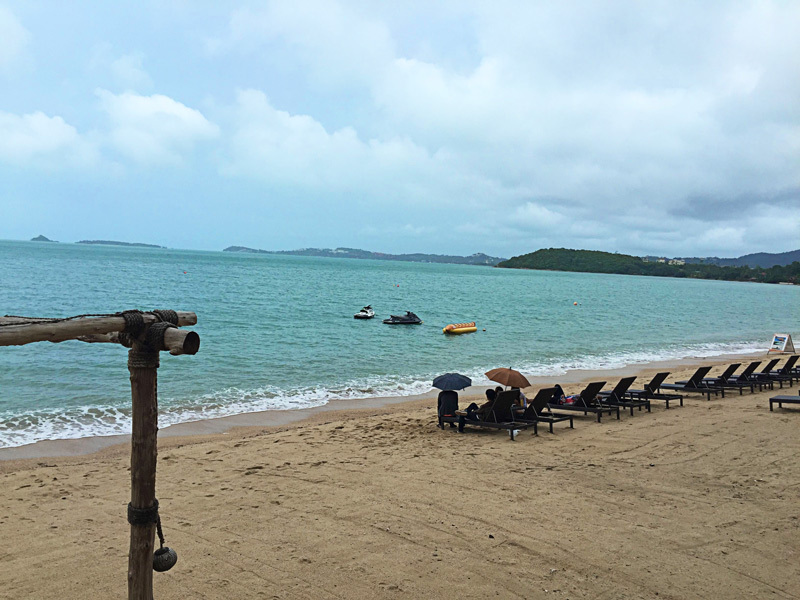 We stayed at Four Seasons Resort, Koh Samui. Highhhly Recommended. You can do a lot of water sports at Chaweng beach, weather permits. Carry your swimwear for sure. Angthong Marine Park is a great tourist attraction. Koh Samui is famous for snorkelling. But we went during the rainy season so the day we planned on doing it, they closed the activity for the season. 😛 Gives us a reason to go back again. 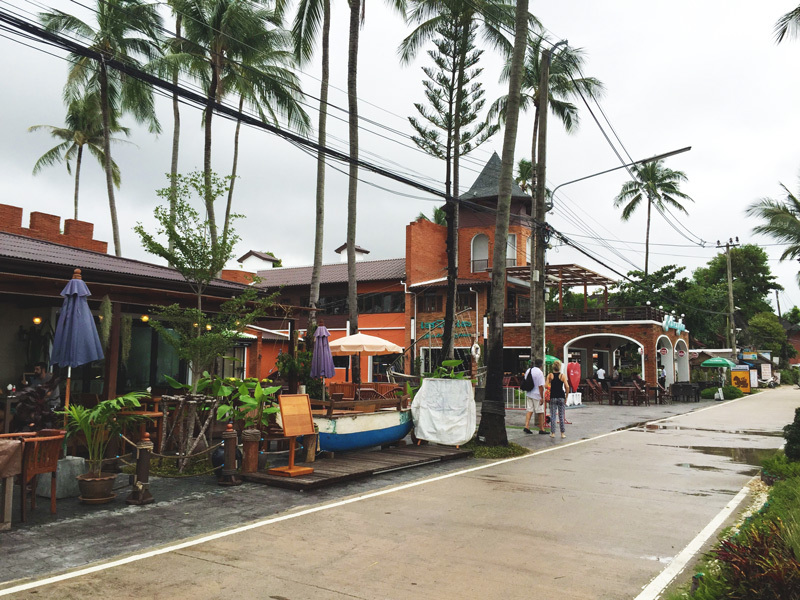 You can visit Koh Samui any time of the year. Avoid the rainy season because the only thing that ruins a beach destination is rain. We had two days of sun and two days of rain so it was still amazing. The rain only made the place more gorgeous. That said all 4 days of rain would have been a bummer. how stunning is the beach! 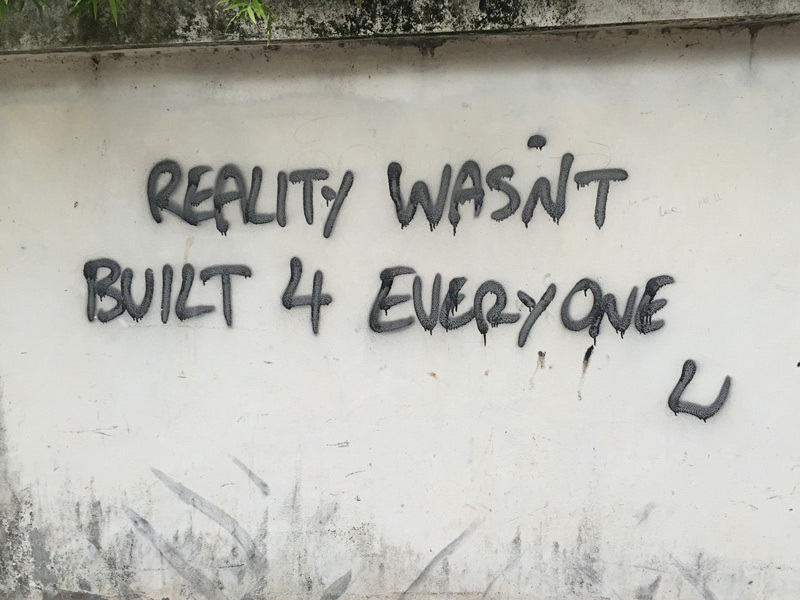 saw this on the wall. Holds true for me.hahha!! got thai massage done! Best thing ever! 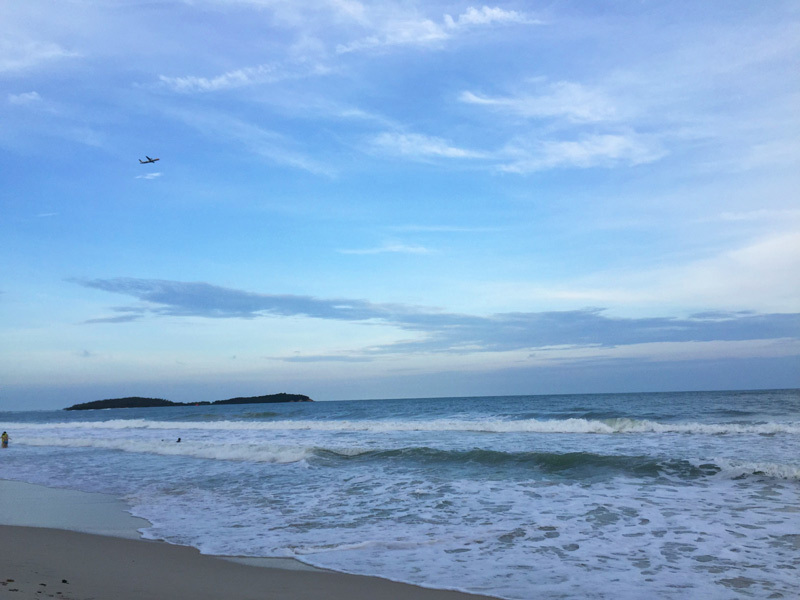 the very stunning Chaweng beach! 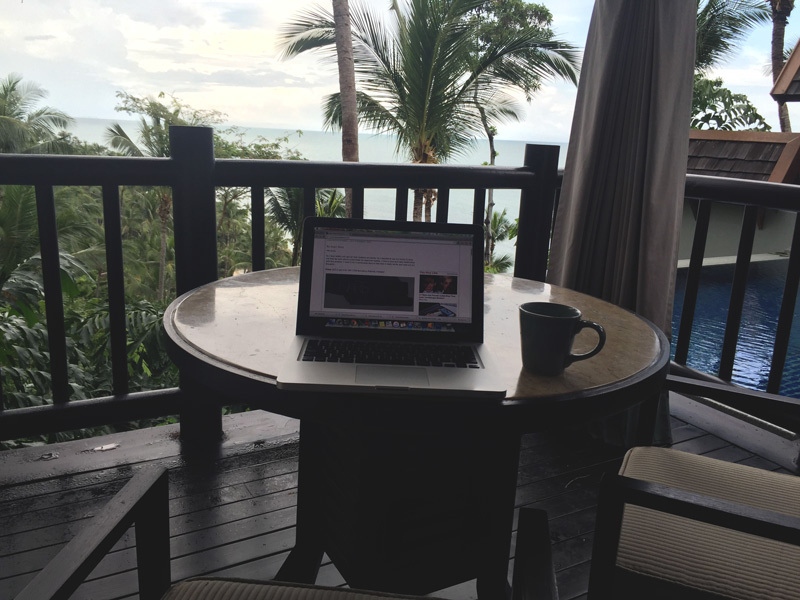 IMBB office for a few days! 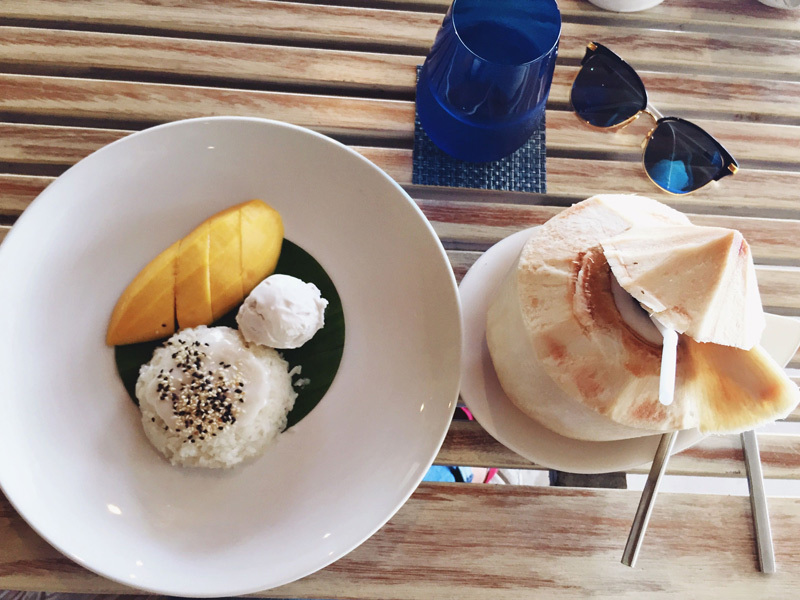 must try mango with sticky rice! 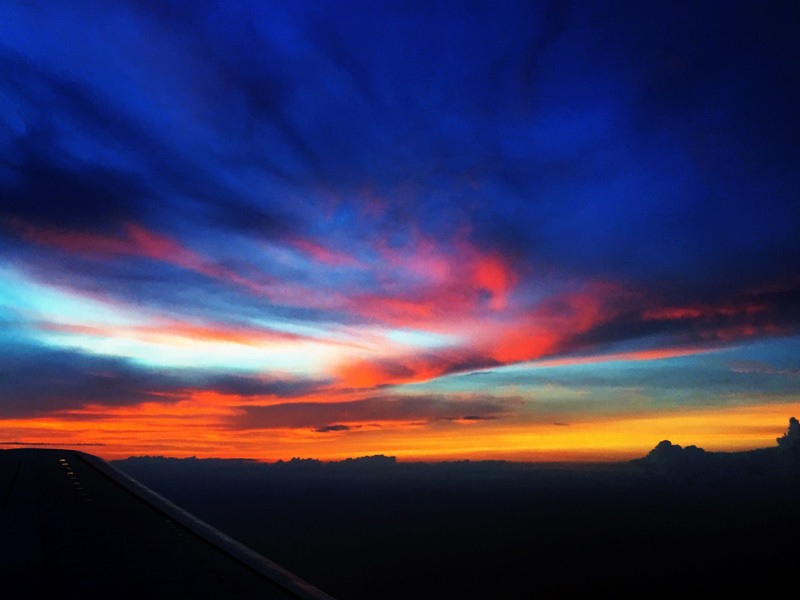 on our way back – view from my flight! 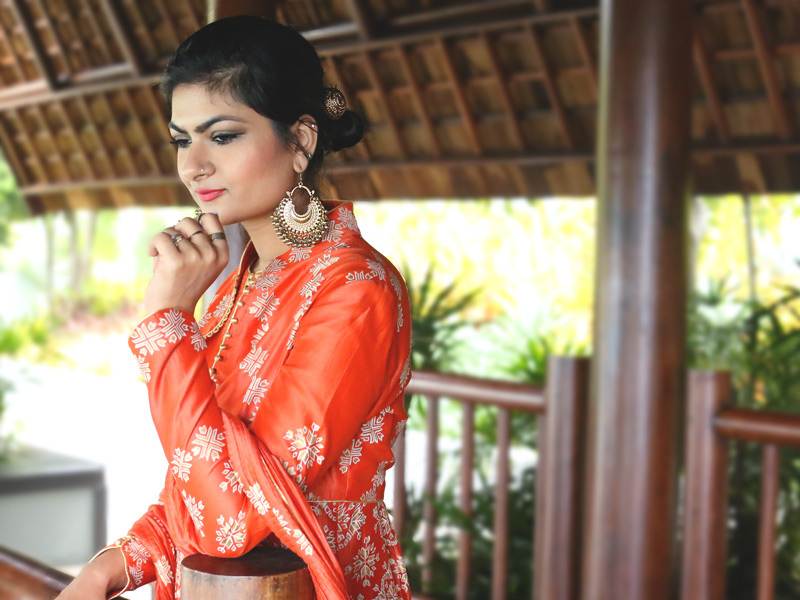 This entry was posted in Outfits, Travel and tagged amrapali hair pin, antique hair pin, Indian fashion blog, indian festive outfit, Koh samui, koh samui full moon party, Ritika Sachdeva earrings, rohit bal, rohit bal anarkali, Thailand, travel, vian jootis. Bookmark the permalink. I am a silent follower of your sites . I just love you and your dresses and your amazing makeup. Your looks add a touch of colour to my boring software life 😛 . God bless you and happy dhanteras. You are looking gorgeous Rati .. I’m your one of the biggest fan over instagram … In love wid your every picture ??? Would love a post with packing tips… Cheers…. Wish you a veryyyyy happppyyyyy Diwali and have a blast!!!! I loooooove beaches so much that I cannot even explain, especially the clean and clear ones as these. I wish I could swim though. I feel lucky that I have snorkeled in one of the best beaches in India, so no regrets there. 😀 I have also had thai massages, but not in Thailand…so is it Thai enough? 😛 I love the way sir captures the beauty of each place you visit and his wife’s too. Cant wait to share the Diwali post! mwwwaaahhhh!!! 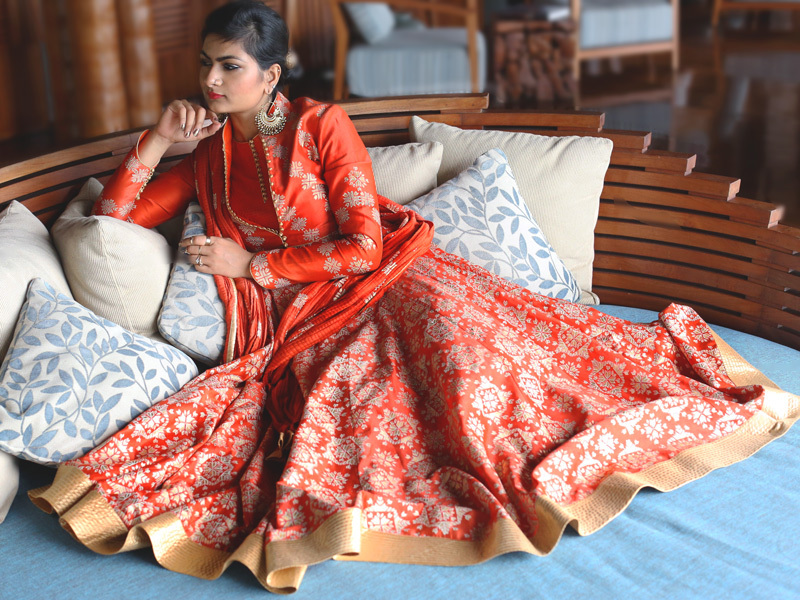 Lovdddddd d entire look…. Outfit is sooo grand…. Dis happens to b my fav color… N i hav des earrings too…. ?? 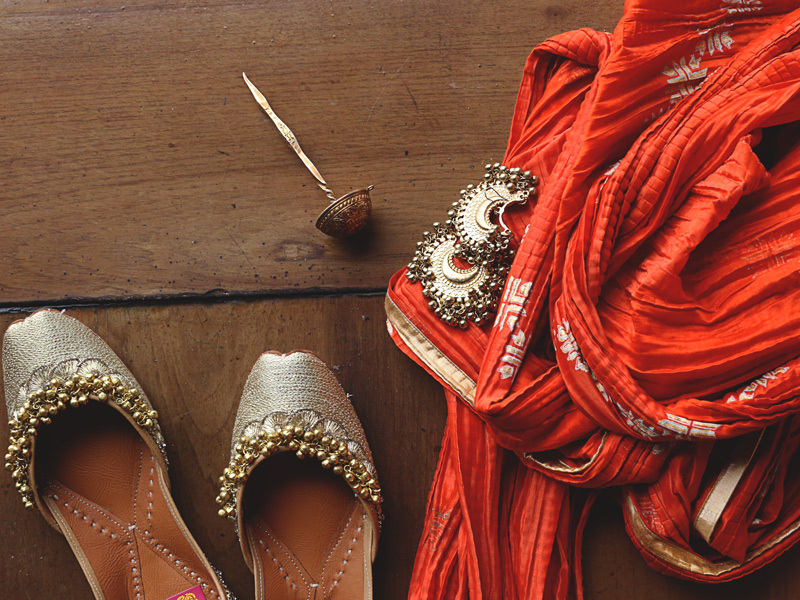 ?yes i bot dem…for dussehra outfit… My mum keeps sayin d same.??…. I knw al des designers n brands coz of u… Thnkoo? ?… N hey i m in delhi… Was in m block market today silofer main n sum other shopping… I told my mum… Hw i wsh i get to c rati sumwher here… ?? The clothes always wears you, n its never the other way round, u rule ur clothes totally like a dream. This is my favorite color and it has never looked better on anyone else. ? Gosh the anarkali! So royal and grand. Absolutely loving it Rati. 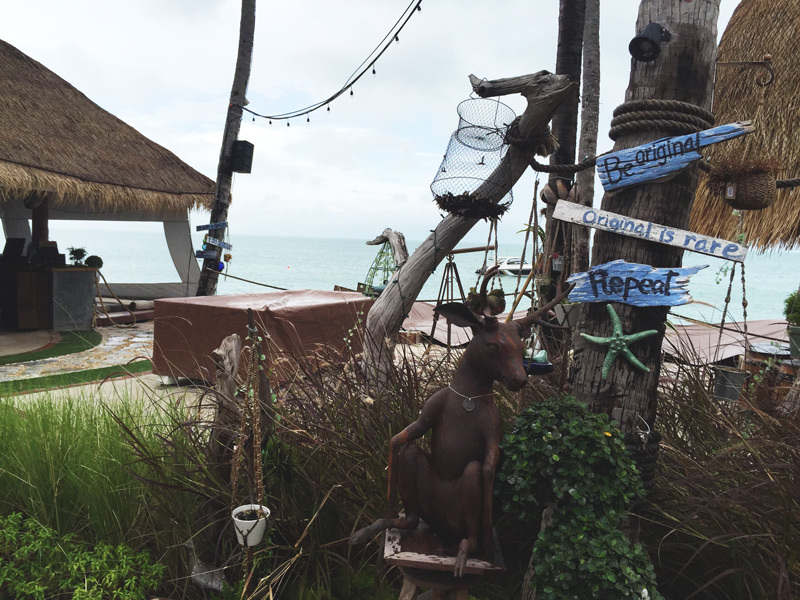 Koh Samui is so dreamy too . Totally loved the anarkali. I saw your post this morning and have been searching the internet since morning for this. Is it available only in stores and what is the price please? Hello Rati….I plain simple love you. imbb has changed my life so much.much . And your story inspires me to follow my heart.heart . Thank you. Keep shining dearest. and keep inspiring. Stunning Stunning Stunning!! absolutely breathtaking Rati!! you look gorgeous..Photographer also well done!! :)…Happy Diwali to you, Sanjeev and all at IMBB. I am in Manila these days on work. Will try and go around on weekends so this time will definitely send an article on my trip. :) (Been wanting to write but I am just so lazy).. 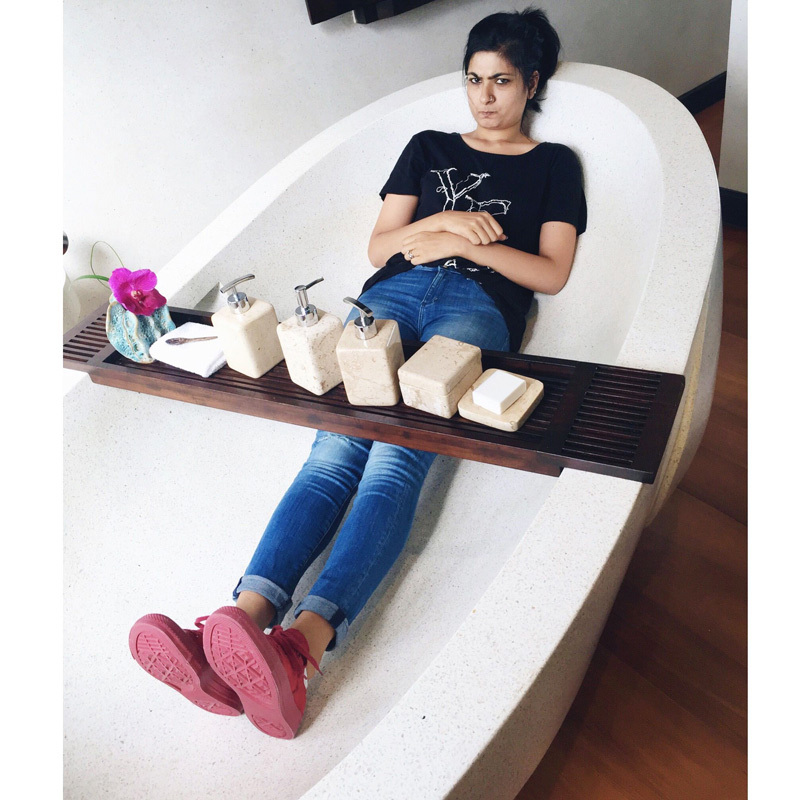 Looking forward to more of your travels..
hahahhahahah I totally loved the bathtub picture, Rati. gosh! that was so funny!!! I really want to say that you have got such beautiful aura around you. I love to see your pictures again 7 again. 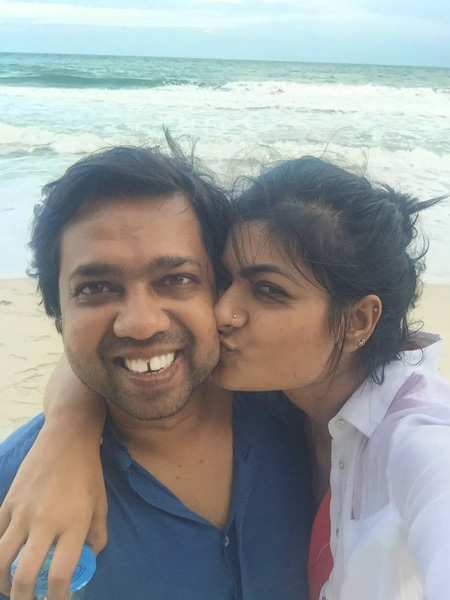 Hi Rati di, I am going to koh samui for my anniversary in January. 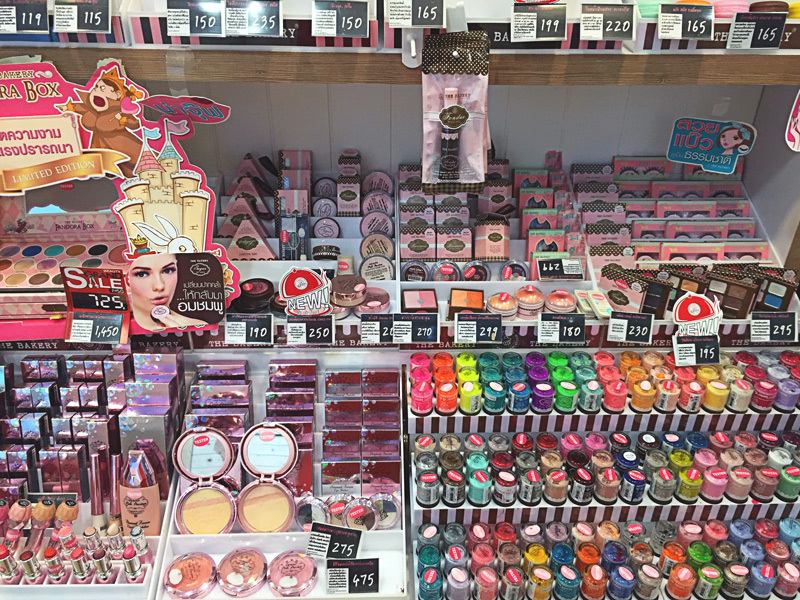 Where can I shop for makeup? Thank u so much for ur reply rati di…I was bit confused if I should go to Koh samui or Bali for my anniversary in Jan…Then thought of asking you as you have been to both places. So so wish to goto Bali but worried about rains..What would you suggest? Me n my husband want to do water activities. 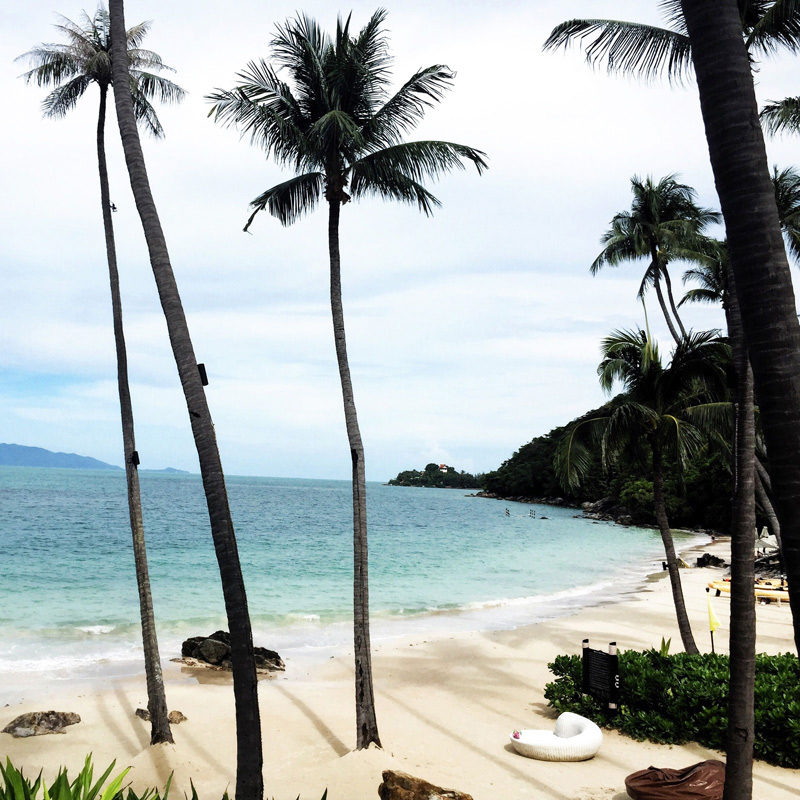 Just back from Koh Samui. Had amazing 7 days there. Already missing the place.